April 10, 2014 @ 7:00 pm – 9:00 pm – Ann Beattie will be on stage for a conversation with Library Director Diane Kresh at Arlington Central Library Auditorium. 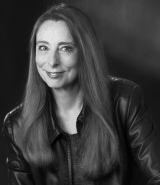 Ann Beattie’s Arlington Reads featured title, “The New Yorker Stories,” collects legendary works from the previous four decades for which she won the PEN/Malamud Award for achievement in the short story form and the Rea Award for the Short Story. Admission and parking are free. Seating is limited and available on a first-come, first-served basis.